The distance between a big problem and a great creative solution can be uncoverable or very short. 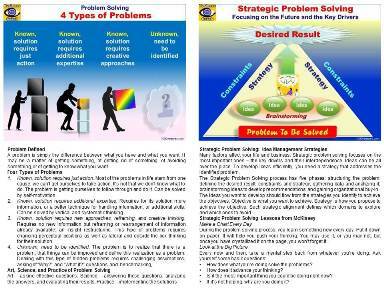 Become a problem solving star and hero! Be a smarter leader, negotiator, and a salesperson! Turn every problem into an opportunity! Solve a problem and you'll be successful for a day. Become a Great Problem Solver and you'll be successful for a lifetime!